This sachet was in a GlossyBox along with Rodial's Glamoxy Snake Serum. 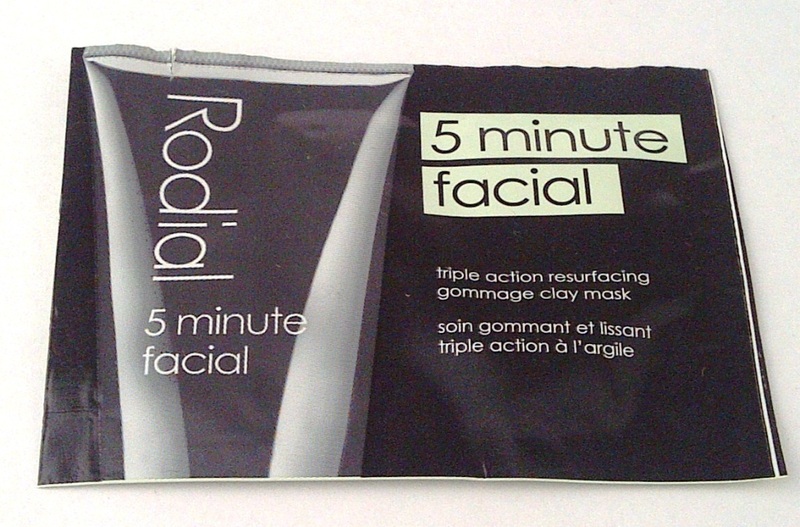 Reading back I see that there were 2 sachets of each product in the box, this is important,you will see why further on..
5 minute facial is an exfoliating and decongesting mask packed with active ingredients to restore a youthful glow. The gently exfoliating formula clarifies and absorbs impurities; reducing pore size to reveal smooth, bright, glowing skin. 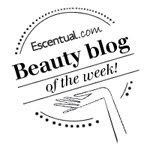 This thick clay mask should be generously applied to clean dry skin, avoiding the eye area. Allow to dry until the peel can be removed by gently rubbing the skin with fingertips. Finish by rinsing thoroughly with warm water. After great results from two facial masks recently - GlamGlow and Sanctuary Spa, I was really looking forward to trying this one from Rodial. Anything that promises results within 5 minutes appeals to my impatient side. This mask smells lovely and fresh, I really like the scent. The mask is white/very pale cream and resembles toothpaste in texture. Unfortunately I thought I only had the one mask (have no idea where the other sachet is) and 1ml really doesn't go far even on my small face! I had to really eke it out and so I ended up with quite a thin mask. I am not sure whether this made a difference to its performance as the instructions do say to apply generously . As a result the mask dried fast, and when removing was gritty so appeared to be exfoliating well. However, I felt that the mask didn't really do much or make a difference to my after appearance at all. If I was judging the performance of the Rodial 5 minute Facial based on a sample sachet, I wouldn't be making a purchase of the product as it left me distinctly unimpressed. That's rubbish that it didn't do much! I really like the sanctuary one too but still not sure if i'm going to splure the £27 for it.